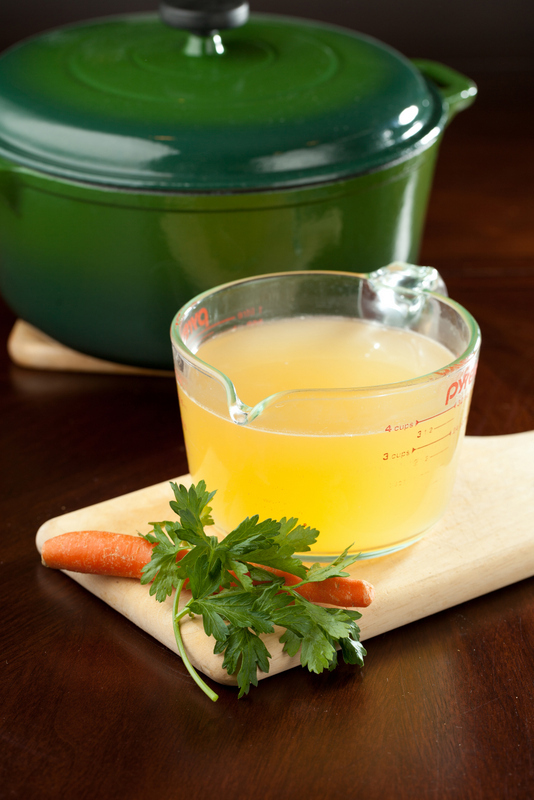 Consider much of the ingredient list below to be a suggestion – a flavorful, fresh vegetable stock can be made easily with vegetable trimmings and parts that you have on hand. Feel free to use other vegetables, avoiding starchy vegetables or vegetables that will produce a finished broth with a strong odor or color (like beets). Add the onions and garlic; sauté, stirring often until translucent, about 3-4 minutes. Add the remaining ingredients and bring to a boil. Reduce heat to low, simmering uncovered for about 1 hour or until liquid is reduced (by about a third) and broth is aromatic. Strain the broth through a fine sieve; discard solids. Let cool completely, then cover and chill, or freeze for up to 3 months. DO AHEAD: Stock can be made 3 days ahead.